This moth is under the eave of my front porch. I am not sure what it is and would like an ID. 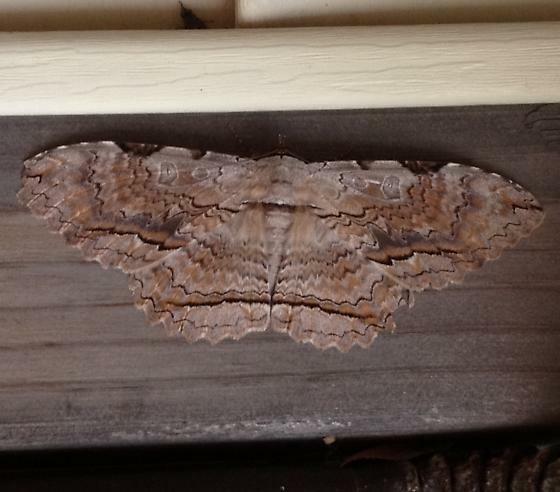 A friend who is a Biologist thought it might be a Black Witch Moth but the color is so different and the wing "dots" aren't as pronounced as all the other pictures of the moth I have found. Always a treat to see! Thank you, I checked all over but because this one wasn't shown to be in Montana I was unsure where to look. We have enjoyed keeping track of it.